Experience even more of nature's greatness while glamping with us this spring! While you're staying at Sweffling, what better way to compliment your outdoorsy get-away than a guided walk amongst some of the countryside's most special places? The Suffolk Walking Festival 2016 is running between May 14th – June 5th and will be providing a fantastic range of adventures throughout the spectacular county of Suffolk, for anyone who wants to get involved. An impressive 77 walks are being hosted this year and there is a little bit of everything! The first walk of the festival will be taking place at 8 in the morning at Sutton Heath. 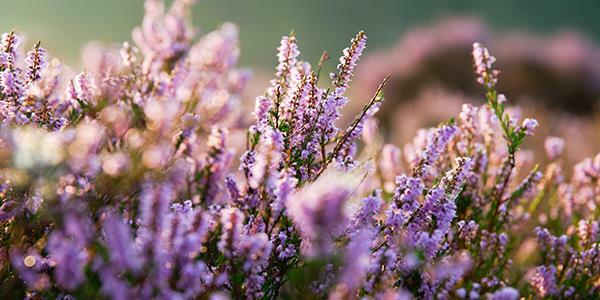 You'll be wandering amid some of Suffolk's most picturesque heathland and might get the chance to hear larks, warblers and stonechats as you go. But Suffolk has a huge variety of habitat that ranges from coast and dune to marsh and wetland, open countryside, farmland, parkland and protected AONBs; not to mention interesting villages and urban hotspots. Pick a destination and discover somewhere new this spring! This year's variety of walks is as good as ever, with a number of different themes to spark the interest of anyone and everyone. Whether you're walking for fun, nature or fitness the walking festival website provides an extensive list of all their different types of walk. A whole range of lengths and a variety of terrain means that the whole family can get in on the action, whether they be young or old, a walking novice or a hiking expert! Bring along the dog if he's staying with you at Sweffling, because a number of the walks are dog-friendly. There are routes specially dedicated to those with pushchairs, ones for history buffs, a Pilates walk and even a speed-dating walk! Don't miss out, because it's guaranteed fun, it's really inclusive and tickets are very easy to book on the website. This year's festival is even more exciting as it will also be the launch of Suffolk's Year of Walking, a scheme that will be in place from 2016-2017. The main aim of the 'year of walking' scheme is to encourage new walking opportunities, to get people out there and doing it more often: the hope is that walking will become the default choice for journeys of 20 minutes or less. 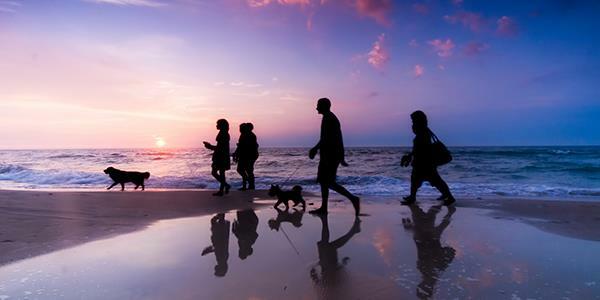 Walking is fun and healthy and the Suffolk County Council, who are behind the Year of Walking, want to prove just how much enjoyment we can get out of it. Things kick off in May, but even once the festival has drawn to a close, there are still endless opportunities in Suffolk and around Sweffling. Discover all this beautiful county has to offer and plan a glamping get-away with us!